Widely popular as ‘Pilgrim Capital of Kerala’, Pathanamthitta is a city in Kerala famous for being home to one of the largest pilgrimage of the world ‘Sabarimala’.Pathanamthitta is also the place which organizes the largest Christian Convention of Asia every year, ‘Maramon Convention’. Being such a spiritual region, Pathanamthitta is occupied with lush evergreen rain forests and is also known for its extensive wood industries, lumber mills and rubber plantations. In order to know more about such a regional and enchanting place, let’s dive deep and take a look at the best tourist spots in Pathanamthitta. 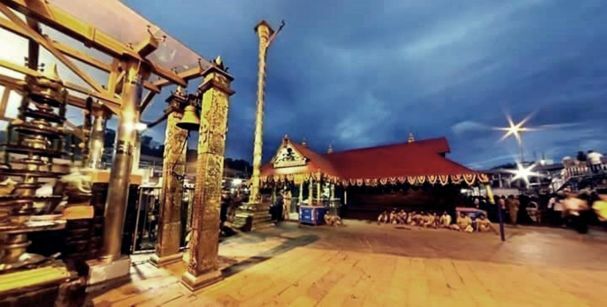 Sabarimala is considered among the largest pilgrim due to the attraction of forty million and above devotees every single year which makes it the second biggest pilgrimage in the whole world following Hajj in Saudi Arabia which stand atop the list. With the altitude of 3000 feet and in the middle of 18 hills, Sabarimala stands tall in the beautiful backdrop and is referred as the topmost tourist places near Pathanamthitta. This place operates on a unique code of conduct which allows every male being irrespective of age, caste and creed to enter the area. However, females above the age of 10 and below the age of 50 are prohibited from entering the same. The Perunthenaruvi Waterfall is a wonderful waterfall which has its roots from the Pampa River. This waterfall is considered as one of the best waterfall in entire Kerala and highly recommended to visit.It is an outstanding place to spend some time swimming and chilling by the watercourses. If you do visit Pathanamthitta, make sure to see the incredible sight of this great Perunthenaruvi Waterfall. This place is the point where three rivers namely Pamba River, Manimala River and Achankovil River merge with each other.The water in Thriveni Sangamam is considered as the Holy water and several devotees pay a visit to this place in order to wash away their sins. Other reasons to visit this place include its charming landscape which soothes the soul and gives inner peace. 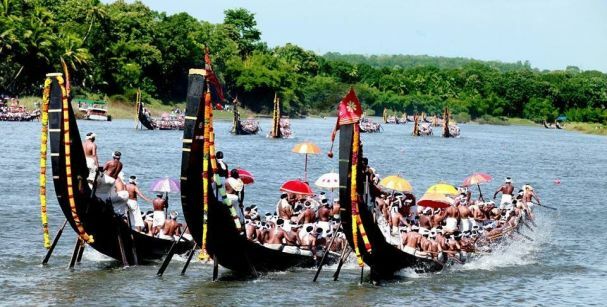 In the beautiful backwaters of Aranmula and few kilometers away from Pathanamthitta, popular snake boat race happens every year during the festival of Onam. The festival is generally held at during the end of the festival and fascinates a lot of tourists from within the country and outside as well.These boats are called snake boats due to its unique design which is quite long in length and slender in width.Each boat accommodates around 120 people for the race and approximately 40 boats participate in this annual snake boat race. The snake boat race is a fun and interesting thing to watch as the excitement of the locals and devotion to the race is absolutely contagious. The hype of the snake boat race makes you want to participate in the same and be a part of this beautiful annual celebration. One of the Pathanamthitta tourist places to visit in order to indulge in fun activities is the place called Adavi in Konni, Pathanamthitta. One can take a bowl boat ride or coracle rafting to wander in the backwaters of Konni and get mesmerized by the serenity and stillness of the surrounding atmosphere. J & f is one of the most popular places for everyone to eat the tastiest foods of all. The ambience of this restaurant is elegant and it is widely popular among the youth society of Pathanamthitta. This place is known for its delicious range of Cuisines ranging from North Indian, Kashmiri, to name a few. 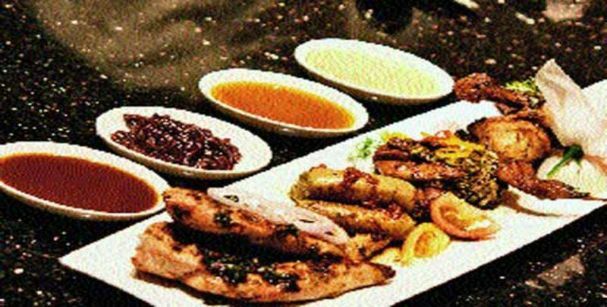 Some of the best menus from the kitchen of J & K are kebabs, tandoori and naans too. It has made its way to the customers’ heart through its lip-smacking foods which is famous in Pathanamthitta.Having a casual and nice ambience, this restaurant serves variety of foods which are undoubtedly delicious in taste and certainly leave your taste buds long for more.Make it a must to visit the Kream Korner Restaurant to satiate your hunger to the fullest. This restaurant is famous for its variety of mouthwatering fast foods with a touch of Kerala. They have a vast range of vegetarian and non-vegetarian foods to serve to their customers which provides the customers with sufficient options to choose from and savor the same.